Democratic socialism needs to become a mass presence in US society. The Democratic Socialists of America (DSA) has 25,000 members. Its growth over the past year has been massive — tripling in size — and no doubt a product of the increasing rejection of a bipartisan neoliberal consensus that has visited severe economic insecurity on the vast majority, particularly among young workers. No socialist organization has been this large in decades. The possibilities for transforming American politics are exhilarating. In considering how to make such a transformation happen, we might be tempted to usher those ranks of new socialists into existing vehicles for social change: community organizations, trade unions, or electoral campaigns — organizations more likely to win immediate victories for the workers that are at the center of our vision. Why not put our energy and hone our skills where they seem to be needed the most? Workers’ needs are incredibly urgent; shouldn’t we drop everything and join in these existing struggles right now? While it’s crucial to be deeply involved in such struggles as socialists, we also have something unique to offer the working class, harnessing a logic that supports but is different from the one that organizers for those existing vehicles operate under. Here’s a sketch of a practical approach rooted in that vision that can win support for democratic social change in the short run and a majority for socialist transformation in the long run. For socialists, theory and practice must be joined at the hip. Socialists work for reforms that weaken the power of capital and enhance the power of working people, with the aim of winning further demands — what André Gorz called “non-reformist reforms.” We want to move towards a complete break with the capitalist system. Socialists, unlike single-issue activists, know that democratic victories must be followed by more democratic victories, or they will be rolled back. Single-payer health care is a classic example of a “non-reformist” reform, one that would pry our health system free from capital’s iron grip and empower the working class by nationalizing the private health insurance industry. But socialists conceive of this struggle differently than single-issue advocates of Medicare for All. Socialists understand that single payer alone cannot deal with the cost spiral driven by for-profit hospital and pharmaceutical companies. If we do achieve a national (or state-level) single-payer system, the fight wouldn’t be over; socialists would then fight for nationalization of the pharmaceutical industry. A truly socialized health care system (as in Britain and Sweden) would nationalize hospitals and clinics staffed by well-paid, unionized health care workers. Socialists can and should be at the forefront of fights like this today. To do so, we must gain the skills needed to define who holds power in a given sector and how to organize those who have a stake in taking it away from them. But we can’t simply be the best activists in mass struggles. Single-issue groups too often attack a few particularly bad corporate actors without also arguing that a given crisis cannot be solved without curtailing capitalist power. Socialists not only have to be the most competent organizers in struggle, but they have to offer an analysis that reveals the systemic roots of a particular crisis and offer reforms that challenge the logic of capitalism. As socialists, our analysis of capitalism leads us to not just a moral and ethical critique of the system, but to seeing workers as the central agents of winning change. This isn’t a random fetishizing of workers — it’s based on their structural position in the economy. Workers have the ability to disrupt production and exchange, and they have an interest in banding together and articulating collective demands. This makes them the key agents of change under capitalism. This view can be caricatured as ignoring struggles for racial justice, immigrant rights, reproductive freedom, and more. But nothing could be further from the truth. 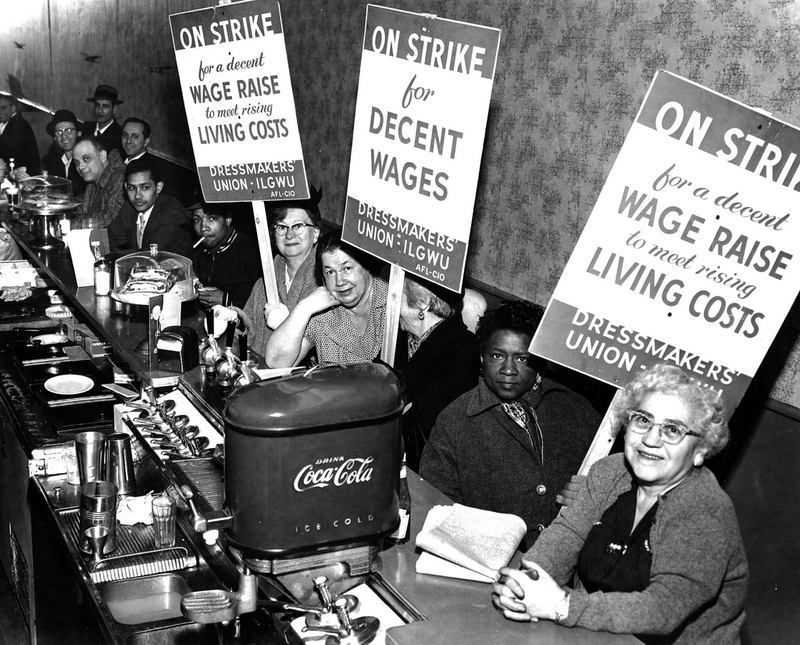 The working class is majority women and disproportionately brown and black and immigrant; fighting for the working class means fighting on precisely these issues, as well as for the rights of children, the elderly, and all those who cannot participate in the paid labor market. Socialists must also fight on the ideological front. We must combat the dominant ideology of market individualism with a compelling vision of democracy and freedom, and show how only in a society characterized by democratic decision-making and universal political, civil, and social rights can individuals truly flourish. If socialist activists cannot articulate an attractive vision of socialist freedom, we will not be able to overcome popular suspicion that socialism would be a drab, pseudo-egalitarian, authoritarian society. Thus we must model in our own socialist organizations the democratic debate, peaceful conflict, and social solidarity that would characterize a socialist world. A democratic socialist organization that doesn’t have a rich and accessible internal educational life will not develop an activist core who can be public tribunes for socialism. Activists don’t stay committed to building a socialist organization unless they can articulate to themselves and others why even a reformed capitalism remains a flawed, undemocratic society. But socialists must also be front and center in struggles to win the short-term victories that empower people and lead them to demand more. Socialists today are a minority building and pushing forward a potential, progressive anti-corporate majority. We have no illusions that the dominant wing of the Democrats are our friends. Of course, most levels of government are now run by Republicans well to the right of them. But taking on neoliberal Democrats must be part of a strategy to defeat the far right. Take the Democrats, who are showing what woeful supposed leaders of “the resistance” they are every day. Contrary to the party leadership’s single-note insistence, the Russians did not steal the election for Trump; rather, a tepid Democratic candidate who ran on expertise and competence lost because her corporate ties precluded her articulation of a program that would aid the working class — a $15 minimum wage, Medicare for All, free public higher education. Clinton failed to gain enough working-class votes of all races to win the key states in the former industrial heartland; she ended up losing to the most disliked, buffoonish presidential candidate in history. If we remain enthralled to Democratic politics-as-usual, we’re going to continue being stuck with cretins like Donald Trump. Of course, progressive and socialist candidates who openly reject the neoliberal mainstream Democratic agenda may choose for pragmatic reasons to use the Democratic Party ballot line in partisan races. But whatever ballot line the movement chooses to use, we must always be working to increase the independent power of labor and the Left. Sanders provides an example: it’s hard to imagine him offering a radical opening to using the “s” word in American politics for his openly independent campaign if he had run on an independent line. Bernie also showed the strength of socialists using coalition politics to build a short-term progressive majority and to win people over to a social-democratic program and, sometimes, to socialism. Sanders gained the support of six major unions; if we had real social movement unionism in this country, he would have carried the banner of the entire organized working-class movement. Bernie’s weaker performance than Clinton among voters of color — though not among millennials of color — derived mostly from his being a less known commodity. But it also demonstrated that socialists need deeper social roots among older women and communities of color. That means developing the organizing strategies that will better implant us in the labor movement and working-class communities, as well as struggles for racial justice and gender and sexual emancipation. Socialists have the incumbent obligation to broaden out the post-Sanders, anti-corporate trend in US politics into a working-class “rainbow coalition.” We must also fight our government’s imperialist foreign policy and push to massively cut wasteful “defense” spending. We should be involved in multiracial coalitions, fighting for reforms like equitable public education and affordable housing. Democratic socialists can be the glue that brings together disparate social movement that share an interest in democratizing corporate power. We can see the class relations that pervade society and how they offer common avenues of struggle. But at 25,000 members, we can’t substitute ourselves for the broader currents needed to break the power of both far-right nativist Republicans and pro-corporate neoliberal Democrats. We have to work together with broader movements that may not be anti-capitalist but remain committed to reforms. These movements have the potential to win material improvements for workers’ lives. If we stay isolated from them, we will slide into sectarian irrelevance. Of course, socialists should endeavor to build their own organizational strength and to operate as an independent political force. We cannot mute our criticism against business unionist trends in the labor movement and the middle-class professional leadership of many advocacy groups. But in the here and now, we must also help win those victories that will empower workers to conceive of more radical democratic gains. Our members are disproportionately highly educated, young, male, and white. To win victories, we must pursue a strategy and orientation that makes us more representative of the working class. In the final analysis, socialists must be both tribunes for socialism and the best organizers. That’s how the Communist Party grew rapidly from 1935-1939. They set themselves up as the left wing of the CIO and of the New Deal coalition, and grew from twenty thousand to one hundred thousand members during that period. The Socialist Party, on the other hand, condemned the New Deal as “a restoration of capitalism.” In saying so they were partly right: the New Deal was in part about saving capitalism from itself. But such a stance was also profoundly wrong in that it distanced the Socialist Party from popular struggles from below, including those for workers’ rights and racial equality that forced capital to make important concessions. This rejection was rooted in a concern that those struggles were “reformist”; it led the SP to fall from twenty thousand members in 1935 to three thousand in 1939. Of course, there are also negative lessons to be learned from the Communist growth during the Popular Front period. They hid their socialist identity in an attempt to appeal to the broadest swath of Americans possible. When forced to reveal it, they referred to an authoritarian Soviet Union as their model. And by following Moscow’s line on the Hitler-Stalin Pact and then the no-strike pledge during World War II, the party abandoned the most militant sectors of the working class. Thus, the Communists put themselves in a position that prevented them from ever winning hegemony within the US working-class movement from liberal forces. Still, the Popular Front was the last time socialism had any mass presence in the United States — in part because, in its own way, the Communists rooted their struggles for democracy within US political culture while trying to build a truly multiracial working-class movement. The road to DSA becoming a real working-class organization runs through us becoming the openly socialist wing of a mass movement opposed to a bipartisan neoliberal consensus. If we only become better organizers, with more practical skills in door-knocking and phone-banking and one-on-one conversations, we will likely see the defection of many of our most skilled organizers who will take those skills and get jobs doing “mass work” in reformist organizations. Such a defection bedeviled DSA in the 1980s, leading to a “donut” phenomenon — thousands of members embedded in mass movements, but few building the center of DSA as an organization. We must avoid this. Simultaneously, if we don’t relate politically to social forces bigger than our own, DSA could devolve into merely a large socialist sect or subculture. The choice to adopt a strategy that would move us towards becoming a mass socialist organization with working-class roots is ours. This is the most promising moment for the socialist left in decades. If we take advantage of it, we can make our own history. Joseph M. Schwartz is the national vice-chair of the Democratic Socialists of America, and professor of political science at Temple.